Create Profile Flag Photo with Flags of the world overlaid over your Photos. Adjust opacity of flag over photo overlays and create perfect for creating awesome profile photos that you can use on any social network. 1. Select a photo that you want to use to create profile picture flag. 2. Select from gallery or you can also take picture from camera. 3. Select a Flag that you want to use as part of flag face app to overlay over your face. 4. 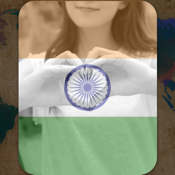 Adjust the photo inside flag overlay with two finger gestures. 5. You can also change the flag. 6. 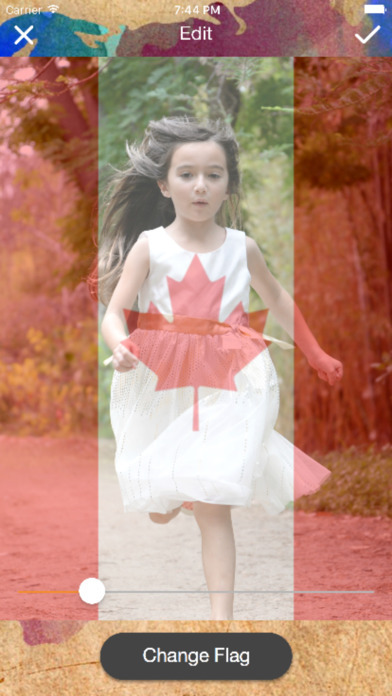 Adjust Transparency of Photo over the flag to get a perfect look for Flag overlay. 7. Save and share the profile flag photo created. 8. You can share the Flag photo overlay directly on social networks. Create stunning flags for your beautiful photos easily with our Photo flags app. In this Photo flag app you will get lots of flags, Adjust Transparency of Photo over the flag to get a perfect look for Flag overlay to make your image even more appealing. If You Find Any Type of Error in Flag Photo Editor then Please Contact Us, We Always Happy To Hear. Enjoy This Amazing App !! !